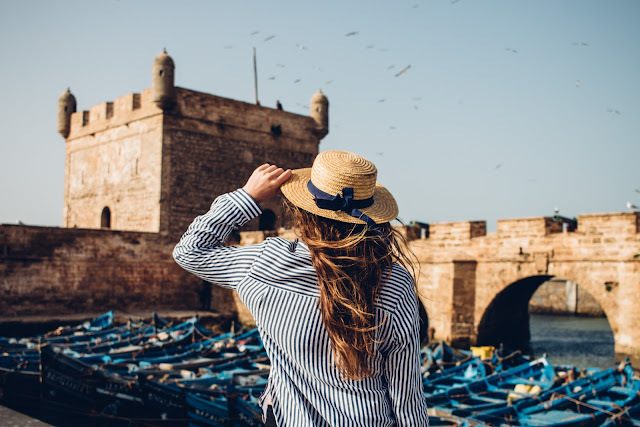 Destinations | Africa | Morocco | Marrakesh | Marrakech-Tensift-Al Haouz | Excursions | Marrakech to Essaouira Day Trip. Travel from the desert to the sea on a guided, full-day trip from Marrakech to Essaouira, and explore an ancient city in a stunning landscape. Visit the artisans that harvest argan oil and Moroccan rugs, and discover Essaouira’s most vivid sights. Walk along the bristling cannons of the harbor-side skala and discover the town’s souks, where vendors display aromatic spices, brilliant cloth and gleaming silver. Step beneath the stone arch of the old gates, and study traditional weapons and elaborate costumes at the Sidi Mohammed Ben Abdalla Museum. Day trip to Essaouira from Marrakech.